The New Zealand dollar extended yesterday’s rally today, rising for the third day in a row, as investors welcomed the news about the appointment of a new governor of the Reserve Bank of New Zealand. Yesterday, Finance Minister Grant Robertson appointed New Zealand Superannuation Fund chief Adrian Orr as a new RBNZ governor. Orr will take the post on March 27. Economists are a bit worried that the central bank will have limited capacity to raise interest rates after it transits to the Fed-style dual mandate, adding full employment to its current goal of achieving price stability. But Orr’s background as a former RBNZ Deputy Governor and chief economist led to hopes that he will make the transition smoother. 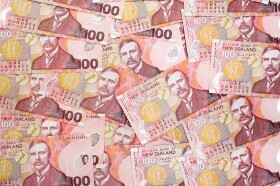 NZD/USD climbed from 0.6908 to 0.6948 as of 10:16 GMT today. EUR/NZD dropped from 1.7019 to 1.6940.